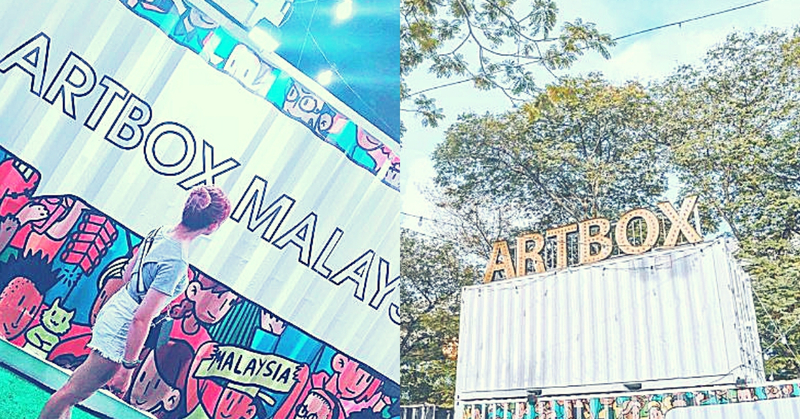 The Final Countdown: 6 Essential Tips For Those Who Are Heading To Artbox Malaysia This Weekend! Thailand famous container market, Artbox is here at Sunway City outdoor open air car park. The first and largest container flea market of its kind in Malaysia that you must visit this weekend! With up to 300 stalls for you to check out, if you’ve been to the one in Bangkok and you’d like to reminisce the feeling, this weekend if the final weekend for you to do so! To those who have seen the endless updates about Artbox on Instagram over the weekend, do note that this is no ordinary pasar malam. The atmosphere and things that you can find at Artbox are pretty fashionable and stylish. They have a variety of specialty snacks, fashion clips, and many creative and interesting things to see and experience. We’ve gathered many feedback from those who went to the Artbox during its debut week (the good, bad, and ugly) so if you’re making your way there this weekend, there’s a few useful tips and things that you need to expect so that you can amplify your experience while at the Artbox! If you’re planning to drive there alone and meet your friends there, don’t! Unless you’re planning to go there hours before the rush hour, scoring a parking is near impossible. Some roads were blocked to accommodate to this event and with the crazy monsoon season, it will complicate things further and add up to your frustration before you even arrive. Carpool and public transportation will definitely help a lot! So you’ve made it there? Congratulations! Although admission is FREE, certain measure of crowd control were taken to manage the amount of people within the vicinity. So you got to wait. Once you’ve pass through the entrance, you need to wait in line for almost everything. From what we heard, 30 minutes just for food! So if you’re one of those who has low sugar level, eat something light before heading there! Your Internet connection will be bad while you’re there. On a brighter note, it’s good to keep your phone aside and enjoy the moment! If you’re going with a large group of friends, it’s best to decide a meet up point and time to gather should any of you get lost in the sea of people. You know what happens when you’re at a confined, crowded space. Bring a portable fan and umbrella with you so that you don’t feel too hot and sticky while trying to get some nice shot at the Artbox. If you already knew which vendor stall that you’d like to check out, it’s recommended for you to find out their stall number and location before making your way there. With over 300 stalls and the insane crowd, itl be a challenge to navigate your way through. This is also to reduce your frustration! Just think of it as a black hole for your money. What supposed to last you for 5 weekday lunches will vanish very quickly. So get your cash ready because you’ll need them!